Birches are for me the ultimate tree for winter. Stripped of their leaves they can display their beautiful papery bark that is irresistable to touch. I photographed this pink and grey birch recently at The Cambridge Botanic Gardens. 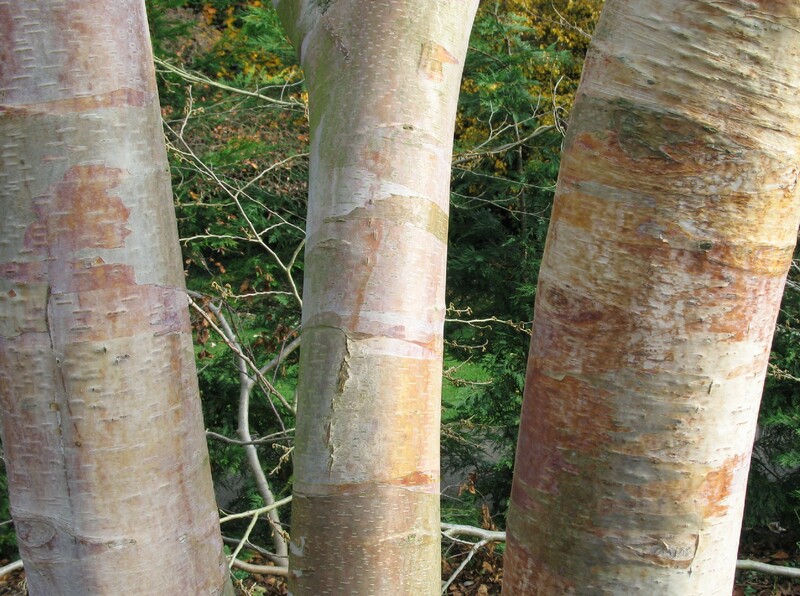 It’s a Chinese Paper Birch (Betula albosinensis var. septentrionalis) and planted in the full winter sun it’s warm colours shone. 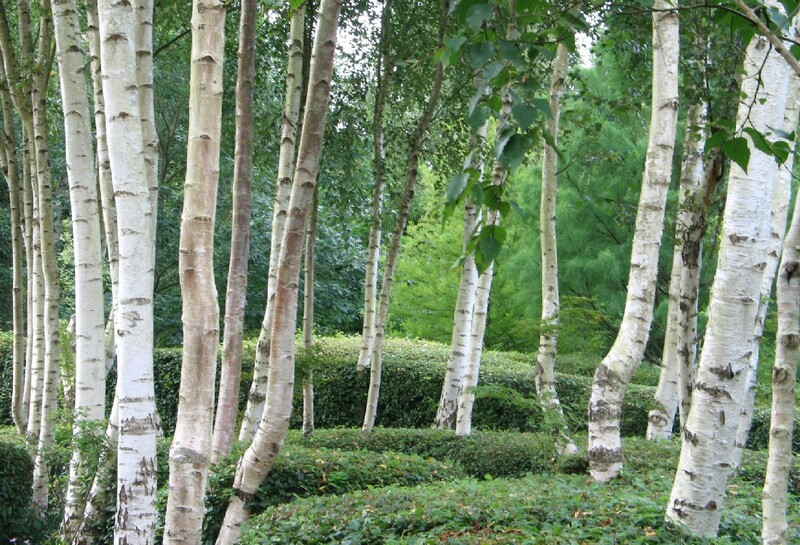 If you have space for just one tree in your garden however, the Himalayan birch is hard to beat. Betula utilis var. jacquemontii has the whitest of barks and looks architectural either planted as a specimen or in a group. As a garden designer I like to keep the planting schemes simple around them. By using evergreen groundcovering plants or low-growing shrubs such as Viburnum davidii you can accentuate their beautiful trunks even more.